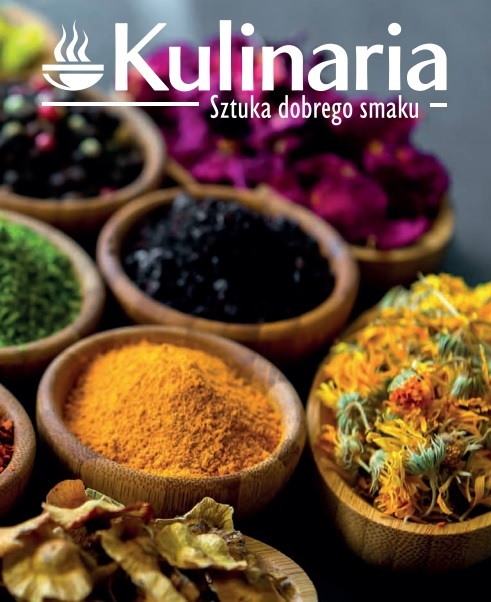 Kulinaria spółka akcyjna is a leading manufacturer of seasoning mixture and functional blends for food industry. The company’s offer includes special seasoning mixtures for all kinds of meat, universal spices, as well as mixtures of dried vegetables. The products are supplied not only in Poland, but also in countries like Bulgaria, Czech Republic, Latvia, Russia, Romania and Ukraine. Meat processing plants are the main recipients in these countries. Keeping the highest quality of products is ensured by a modern production line, professional and experimental laboratories. The high quality and repeatability of products of Kulinaria SA is influenced by work based on ISO 9001 quality management system and FSSC 22000 food safety system, which ensure continuous improvement of all processes in the company. Kulinaria brand offers well selected compositions of spices, essential oils, plant extracts, flavor enhancers, natural flavors and plant protein hydrolysates. They can be used for production of medium and coarsely minced, raw and steamed sausages, for delicatessen products and offal cold meats. Carefully selected raw materials of high quality ensure a strong and lasting taste at a low dosage.The offer includes multi-component mixtures of spices, flavors and functional additives. There are phosphates, phosphate-free preparations, emulsifiers, stabilizers and flavor gelatins among them. Our products are characterized by a harmonious combination of technological features and taste.Among the products in this group, we also offer mixtures for use in the manufacture of raw meat products in accordance with Commission Regulation (EU) No. 601/2014 of 4 June 2014.What is more, the expanded assortment also includes functional blends, marinades, aroma-flavors and smoke flavorings.